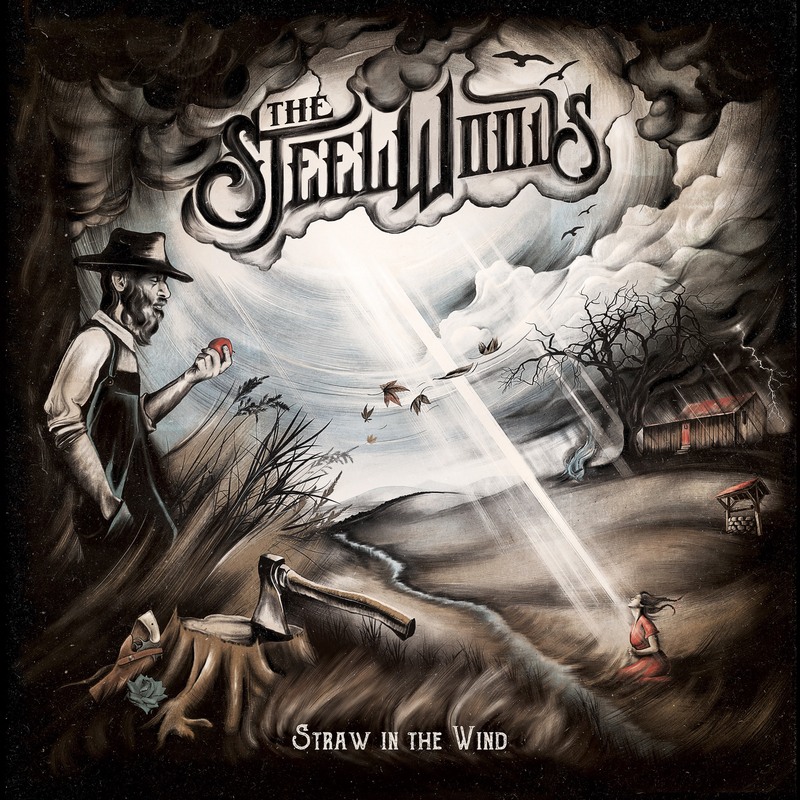 An ominous steel guitar introduction ushers this eager listener into the journey that is Straw In The Wind, the debut LP from Nashville-based country rock outfit The Steel Woods—as the song builds like it’s virtually rising from the mighty cypress swamps in the heart of the Mississippi Delta. The strike of a bass drum at the beginning of each musical phrase echoes like a sledgehammer pounding big tent stakes into southern red dirt, and you know right away that The Steel Woods are here to stay. Building their sound on the same stylistic supports found in the historical foundation of American music, The Steel Woods seamlessly blend Appalachian-infused roots with gritty country, barn-burning blues, and good old rock n’ roll, creating a stunning collection of blue collar tales for the everyman that feels as familiar as an heirloom quilt or the smell of your Maw Maw’s homemade biscuits baking in the oven. To complement their powerful sound, their mastery of double entendre shines through in poetic and clever lyrics that encompass hellfire and brimstone, superstition, and love gone awry. “I’m better in the fall, before the cold comes, the harvest is near, I thought I was in love,” wails vocalist Wes Bayliss, in “Better In The Fall,” a rocking confessional written by the prolific Brent Cobb, as he admits that his talents lie in the thrill of falling in love, rather than in the prospect of a creating a lasting relationship. And of course, there’s murder. The title track is a dusty ballad of snake oil salesmen, ne’er-do-wells, and abusive lovers, who, interestingly enough, seem to disappear in this town like straw in the wind. There’s never a dull moment on this album, no room for complacency, and no danger of disappointment—they even cover Black Sabbath’s “Hole In The Sky,” which is nothing short of perfection and a tribute that would make The Great Ozz himself proud as a peacock. The Steel Woods take no prisoners in this arena-sized debut; whether you’re nursing a wounded heart, headed out for a sunny road trip, or gearing up for a beer-fueled cookout hang with your friends, Straw In the Wind is the perfect precursor to summer. Don’t sleep on this one.